A couple of weeks ago (July 2018) we took a trip to the Georgia Aquarium in the heart of Atlanta. It was surprising at how much the entire day (or really just 3.5 hours) cost. 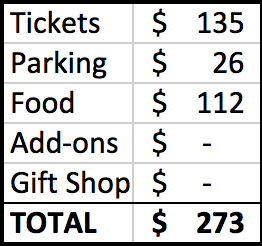 Here is the break down of what we spent for 4 adults, 1 toddler, and 1 baby at the Georgia Aquarium. We went before 11am so we paid $30.95/ adult ticket. The toddler & baby were free, as 2 & under are free, making the total for the tickets with tax $135. $13/vehicle and we brought 2 vehicles for a total of $26. We did not do any of the add-on reserve seating, tours, or behind the scenes experiences. These can range from $5/person to $470/person. Also, we did not buy anything in the gift shop. The total that we spent for our entire trip was $273. The food was what I feel like wasn’t worth the price paid. The seating for eating was limited, and there weren’t very many healthy choices. The kids meal was a pre-made PBJ sandwich with a pre-packaged fruit cup. 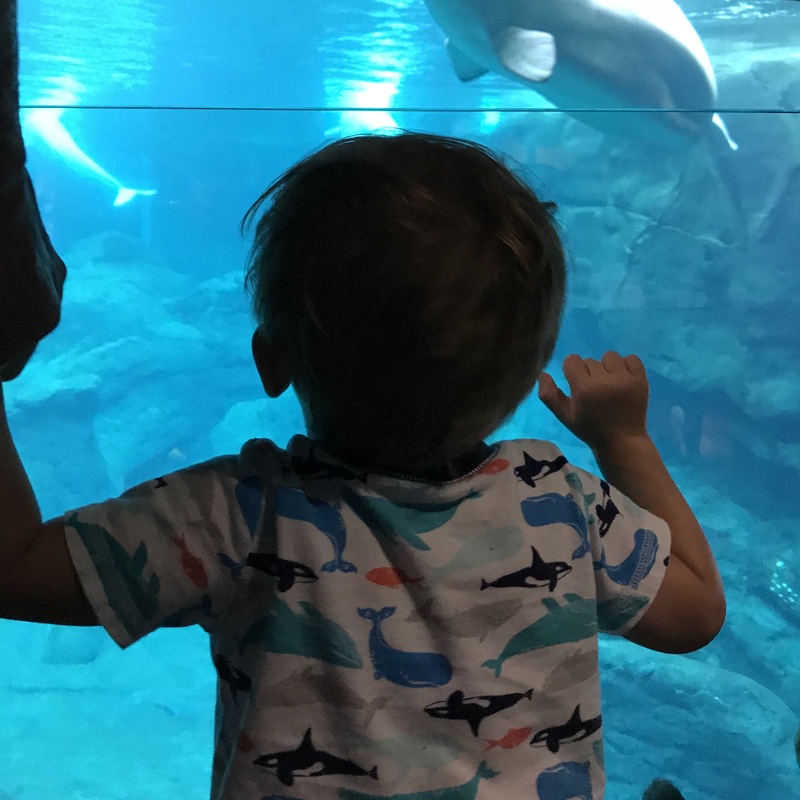 Overall it was an expensive day, but also a fun one for the toddler & baby that love fish!